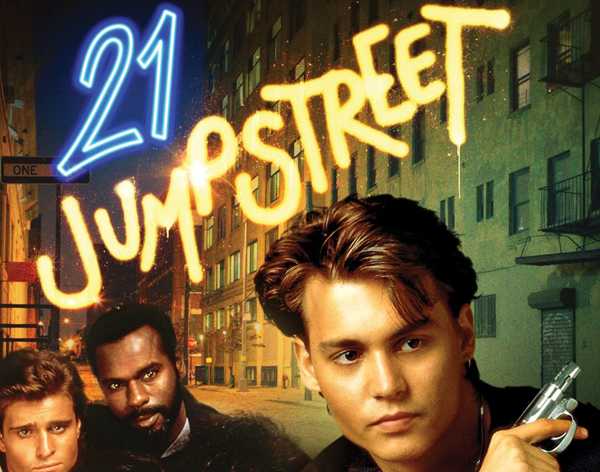 21 Jump Street is an American police procedural television series that aired on the Fox Network and in first run syndication from April 12, 1987, to April 27, 1991, with a total of 103 episodes. The series focuses on a squad of youthful-looking undercover police officers investigating crimes in high schools, colleges, and other teenage venues. It was originally going to be titled Jump Street Chapel, after the deconsecrated church building in which the unit has its headquarters, but was changed at Fox’s request so as not to mislead viewers into thinking it was a religious program. Created by Patrick Hasburgh and Stephen J. Cannell, the series was produced by Patrick Hasburgh Productions and Stephen J. Cannell Productions in association with 20th Century Fox Television.